While I was warming up to do a caricature demonstrate at the Albuquerque Rail Yards Market, I drew this guy. I was using Yasutomo sumi ink and watercolor brushes on the 14in x 17in Pentalic “Paper for Pens”. 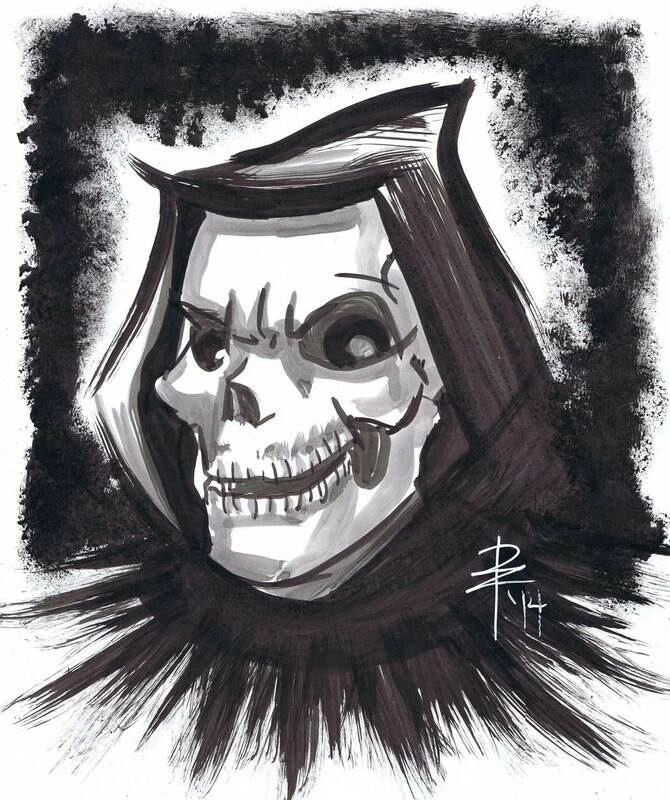 When I was nine years old, I loved drawing the grim reaper! It’s time to get back to my roots. Previous postHalf Dog, Half Wolf! Next postHis Head Popped Off!